So you want your YouTube vodcasts on iTunes huh? I spent the weekend figuring out how to get my Minechat vodcast (do people use this word?) episodes listed in iTunes so people can subscribe to them there. But I got there and this is how I did it! I want my videos on Youtube, it’s a popular place for people to go and watch videos right?! 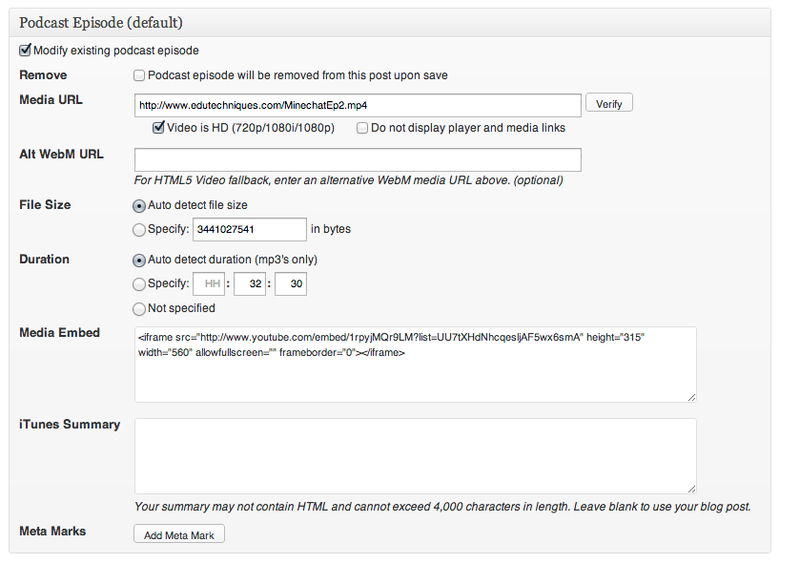 Unluckily you can’t just put a Youtube URL in to iTunes when submitting a podcast, it’s just not going to work. It’s not a feed. Darn. I also want to post my YouTube vodcasts on here, my WordPress blog. It’s where I put stuff I want people to see! It wasn’t until I looked into the whole WordPress angle that I found the solution to my problem. A simple WordPress plugin called Powerpress. It basically creates an RSS feed URL (you have to fill in a number of boxes along the way) that iTunes will acknowledge as good enough for submission to its hollow grounds. So it generated for me edutechniques.com/?feed=podcast that I used to enter into the iTunes Submit A Podcast link on iTunes Store Podcast page. There’s still a catch. Although you can embed your YouTube code into a post in your WordPress blog that still won’t be enough. You still have to upload your video file someplace on the interwebs. So I uploaded my raw video file to my webspace. If I run out of space I’m sure I could look at Kim Dotcom’s latest venture! So I enter the link to the raw video and I also use the Youtube embed code to show the video. 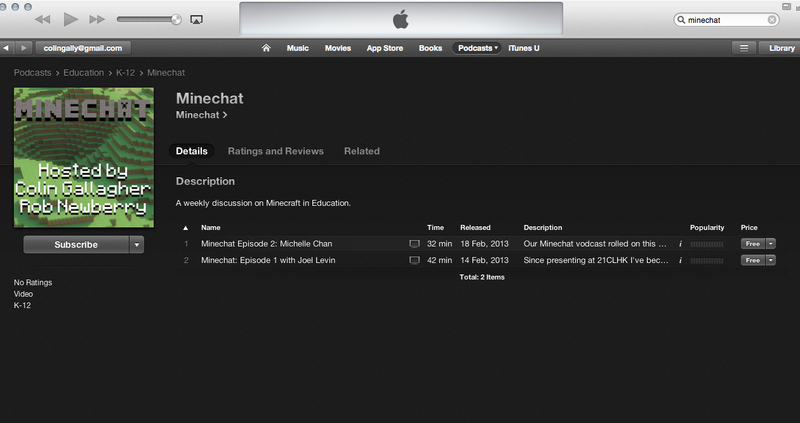 It was a long journey of pain and suffering but now after I submitted the RSS feed to iTunes I have our Minechat iTunes Podcast page looking all cool and spiffy! It was all worth it. I think.